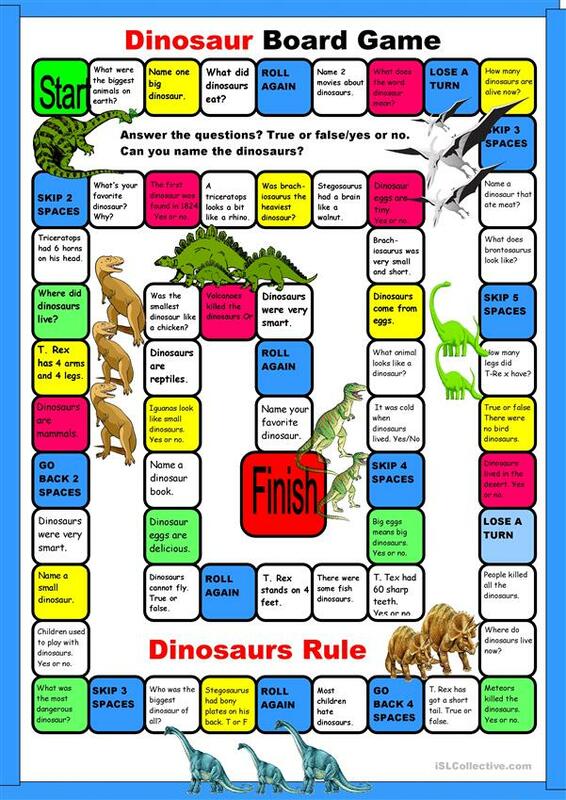 Prove you know your dinosaur facts and win the game. Some silly and some serious questions for dinosaur fans everywhere. Review the names of dinosaurs and some dinosaur facts before playing the game. Thanks to PhillipR for the template. The above downloadable worksheet is meant for high school students and elementary school students at Elementary (A1) and Pre-intermediate (A2) level. It is excellent for enhancing your class' Speaking skills. It is focused on the vocabulary topic of Dinosaurs.